Whether you’re a business traveler in Toronto on an extended stay, a family looking for a longer city vacation, or a film or TV industry pro moving in for the summer shooting season, part of what makes a furnished rental great is the unique character you can’t get from a hotel room. But part of the draw of furnished rentals is the ability to personalize that space you’ll be living in for weeks or months into a home away from home. Here are a few low-cost, simple tips on decorating your furnished condo décor—and creating a gorgeous Toronto nest that truly feels like it’s yours. The simplest antidote to a furnished rental that’s not yet found its voice is texture and colour. Most Toronto furnished rentals come with a very clean look that makes adding your own personal touches easy, without having to break out paintbrushes or power tools. Patterned rugs, couch cushions or throws and small lamps can all bring a condo space to life without much investment—and portably enough to bring home with you! Want a warm, rich, South Asian-meets-bistro feel? Visit Morningstar Trading, which specializes in Rajasthani imports, for hand-carved wooden vases, bright fabric, plush embroidered cush ions, and small furniture pieces that bring colour into a room. If you love the clean, rustic, and airy feel of reclaimed-wood furniture and eggshell-white walls? The Drake General Store, an offshoot of the Drake Hotel specializing in Canadian designers and brands, has a wide selection of log-cabin Canadiana, including carved-stone coasters, soft throw blankets, and needlepoint cushions. For a clean, minimalist aesthetic, check out Harbord Village’s Things Japanese, a cozy source for everything from shoji screens to soften the afternoon light to wood-and-paper table lamps, vases, decorative boxes, and rollable, portable inked wall scrolls. One of the simplest ways to put your mark on a space is by bringing something green home. Most Toronto fruit markets will have a selection of potted herbs once the warm weather hits, and a spilling, vibrant mint in a brightly coloured hanging planter from Roncesvalles Village’s Scout or your local hardware store can both brighten up your space and contribute materially to a homemade mojito. If you’d rather smell your plants than taste them, small florists like Church-Wellesley Village’s Ladybug and Yorkville’s Sweetpea’s not only take online orders for long-lasting floral arrangements, but deliver to your door. And for the budget-minded, there’s nothing better than a tall Mason jar and a handful of daffodils from the corner variety store. There’s a reason coffee table books were so popular in the sixties: They were objects, almost carelessly placed, that told your guests a story about what you love. Small, useful objects like coasters, cushions, handmade notebooks, and more make your mark on a space, and help you inhabit it completely. Almost every neighbourhood in downtown Toronto has a monthly flea full of the useful-and-beautiful, with vendors offering vintage, handcrafted, quirky, and just fun items in their own neighbourhood. There’s a flea in Leslieville and The Parkdale, and more. Admission rarely goes above two dollars, and they’re an increasingly gr eat source for good décor finds—and a fun day out. Having a few old favourites on the nightstand can also go a long way, and specialty Toronto bookstores like Ben McNally Books for literary fiction mavens, The Sleuth of Baker Street for mystery hounds, Bakka-Phoenix Books for science fiction, fantasy, and horror fans, or TYPE for lovers of art and design can supply you with your best-loved bedtime stories to reread or shelve prominently—and make your space feel that much more like home. Ultimately, decorating your furnished condo rental in Toronto is halfway about the experience: Each object you bring home to brighten your space is a piece of Toronto you’ve gotten to know, a walk you took, or a neighbourhood you’ve discovered. And it’s a great way to enjoy the time you spend here—and build a few great memories when it’s time to head home. Our resident blogger, Natalie Taylor, recently stayed at our 300 Front Street West location. Here’s what she had to say. You never know when you’re going to need an apartment until you least expect it. In my case, my home is undergoing renovations and I needed an alternative place to stay. Luckily, DelSuites invited me to stay at their newest furnished rental at 300 Front Street West. Before I got into the building, I was impressed by its location. Located at the corner of Front and John, the condominium is across from CBC’s headquarters, a ten minute walk from Union Station and five minutes from the trendy King Street West strip at King and Spadina. On the weekends, you can walk over to the Rogers Centre for a game or a concert; or walk over to the ferry terminal to explore the Toronto Islands. In the detailed booklet provided on the living room table, there are recommendations for local activities, services, and how-to’s for TV repair, garbage instructions, etc. The building is very secure and you need key access to get into the building. The concierges are friendly, helpful, and available 24 hours. Once I got into the apartment, I immediately felt at home. 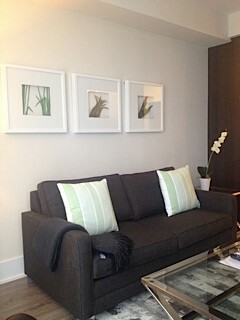 Everything is not only furnished but nicely decorated in a modern and minimalist style and it all felt so comfortable. From the modern artwork and orchid in the living room to the rock and grass filled glass vases in the dining room, I have gotten some inspiration to decorate my renovated space at home. The separated desk area was ideal to get work done. After a long day, it was nice to kick back and watch the Food Network under a provided blanket on the sophisticated yet soft couch. The bedroom is a private oasis and also has a TV if you want to watch a movie late night under the covers. One of my favourite features in the bedroom was the option to open up the screened lower window to the balcony for fresh air. Usually most condos are enclosed glass cases so this was a welcome attribute! I was surprised at all of the little details that were provided in the kitchen, especially. Utensils, plates, cups, bowls, baking items (mixers, baking sheets), a kettle, bowls, dish soap, dishwashing detergent, and towels are all available so you don’t have to worry about buying cooking equipment. I didn’t have to bring anything with me! I think my favourite feature had to be the red magnetic cabinets that close on their own. All you have to do is push the door. The bathroom was just as relaxing. An advanced shower head has a massage feature, and there are plenty of extras like towels and toilet paper so you don’t have to call on housekeeping (which is provided once a week). DelSuites even provides you with a shower kit filled with shampoo, conditioner, shower gel, soaps, and body lotion. They even provide a bathrobe for you in the bedroom closet, which I now want to purchase for myself. In that sense, it felt close to staying in the hotel. That said, you don’t have to pay for any laundry service because there is a washer and dryer (with a starter laundry detergent kit provided) available for your use right beside the bedroom. The balcony was also another favourite feature of mine. 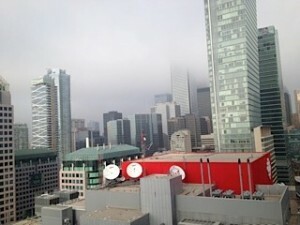 Not only could I get a birds eye view of the pool area but I was face to face with Toronto’s icon, the CN Tower. As a local, there’s something that makes me feel proud about that. The recreation area, complete with a pool, cabana, billiards area, and fully equipped fitness area (including yoga and spinning rooms) added to the impressiveness of my stay. 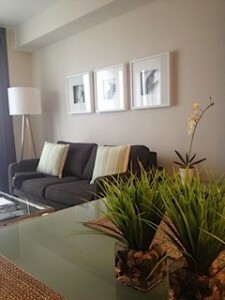 DelSuites furnished apartments and suite rentals took care of all of the small details. I have never felt more at home at 300 Front Street West! Whether you’re in town for business, or are displaced and covered by insurance, they are their to take care your living needs. Travel writing seems like a dream: you can travel to any possible location–your dream destination–and write about it! But it is also hard work and requires strategy, like any other job. If you are looking to take the next step in your travels and write about your journey, here are a few tips. 1. Travel! I know this sounds like simple advice but the best way to get into travel writing is to actually travel. Pick your dream trip and your topics of interest (this is key) and go on a quest in search of those topics. You’ll be surprised what you’ll find and who you will meet. When you travel your own way, your story becomes more interesting because it’s genuine. 2. Read. To be the best writer you can be, you must read. Whether it’s a guidebook about your destination/topic or fiction related to your destination, you’ll become more enriched in your trip by reading everything you can about it. Reading all types of genres also enriches your vocabulary. Read great travel writing if this is your chosen genre. By reading magazines or books like The Best American Travel Writing, you will get a sense of what a good story is and this could help you with your style or give you ideas. 3. Have a quest. When you pick a particular focus, this will help shape your story. Looking for a story in your destination and taking a vacation are two very different trips and unfortunately, often get confused with each other. 4. Try to pitch your story to a publication before your trip. Having a secure outlet or publication will help you with deadlines and also help you if you’re trying to find interview subjects for your story. Pitching your story will also help you focus on what your story is. 5. Observe. Take a step back and observe every detail when you’re on the ground. Whether it’s the cuff links on the waiter’s sleeves, the sound of someone’s voice, or the smells in the air, tapping into your senses will really help bring your story to life. 7. The Four Pillars of Engagement. As Don George mentions, these are the points of the story where you check in with your subject, with yourself, with your audience, and with your writing. What is your subject? Who are you writing for? Who do you want to see this piece? Why is this story personal to you? 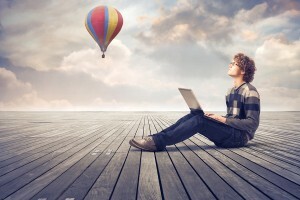 Is your story touching on these points? Is your story precise? Is your story meaningful? Does the story flow? 8. Keep a notebook and write during your trip. When to write will vary for everyone but writing down the details as they are happening or soon after they happen will help you remember the vivid details that will make your story pop. 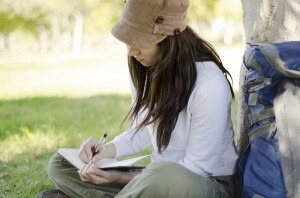 When you are in the moment, jot down those notes. Having a notebook with you or an app like Evernote will help you with this. Use your smartphone to record conversations as well, so you can go back and transcribe them later. Try to make the time during the trip to write down what you have learned and try to write your story right after your trip so it is fresh in your memory. 9. Step away from your story. After you have finished writing, take a day or a few days to let your story breathe. When you go back to it, you may have a different perspective and you may also catch details that you want to remove or add to. 10. Kill your darlings. The editing process is an essential process of making sure your story comes together in the best possible way. The first draft will never be perfect and though there may have been a great anecdote or detail, if it doesn’t fit in with the overall theme or big picture of the story, as difficult as it may be, it must go. Get someone to read over your story and edit it and then go back and edit it again if you have the time. This will make your story stronger and the best possible version of itself. Travel writing is about research, observation, and telling a great story. Hopefully, these tips for travel writing will help you in getting your stories –travel or non-travel related–published. 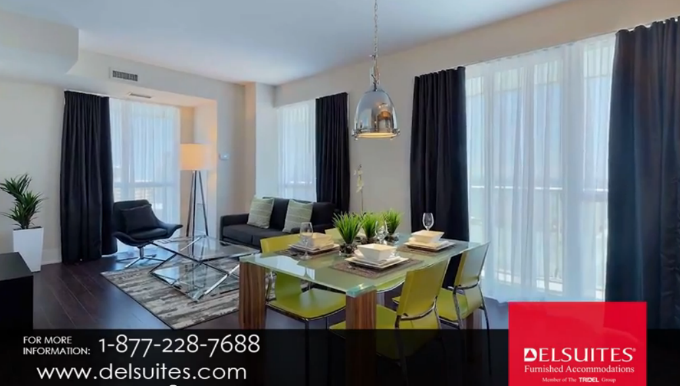 As a member of the Tridel Group of Companies, DelSuites is an award winning provider of premium, short term rentals of Furnished Apartments in Toronto. With the latest addition of 300 Front St Toronto location, these modern, clean line designed suites offer a perfect alternative to hotel stays. Located in some of Toronto’s most sought-after neighbourhoods, we are always striving to ensure customers receive quality service and accommodations. Part of our goal is to ensure each customer is matched to a property that our latest video showcasing 300 Front St Toronto Furnished Condominiums. In addition, Tridel’s own Zenzo Wysocki did an amazing job hosting the video! Watch the 300 Front St Toronto video here. Tripadvisor is a website that allows travellers to post their experiences and opinions. It helps others make informed decisions about where to stay, eat, and play. 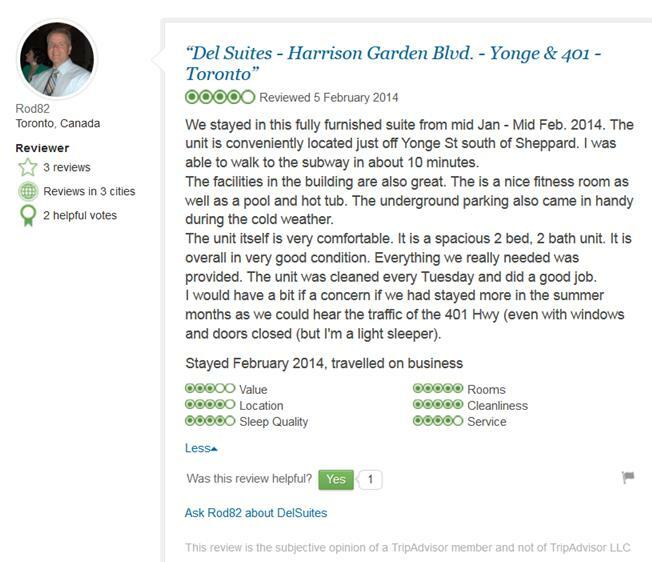 Here is one example of a DelSuites guest review on TripAdvisor. To view more reviews about DelSuites on Tripadvisor, click here.